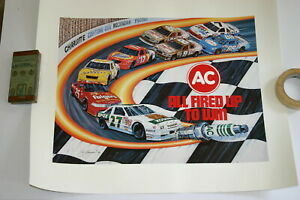 10 feet × 3 feet Vintage NASCAR Poster Welcome Race Fans. And perfect condition. Case of 12 - 1/24 2004-2006 NASCAR Action RCCA Diecast Cars - NEW in boxes!